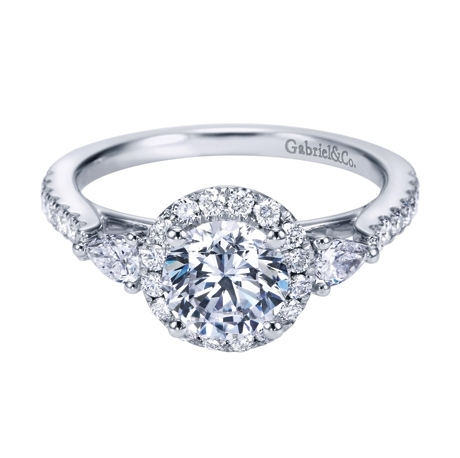 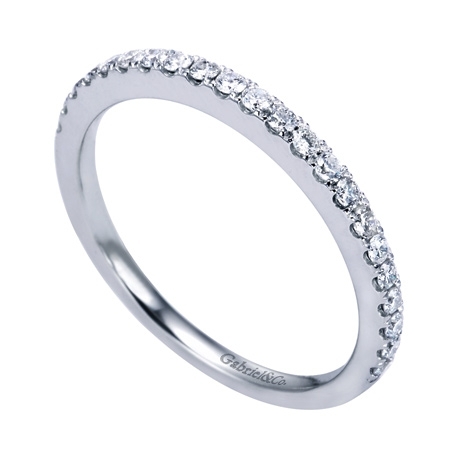 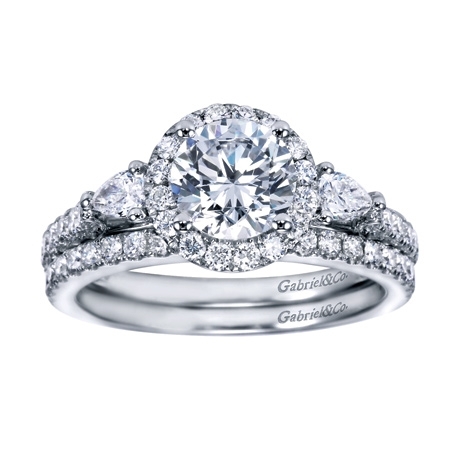 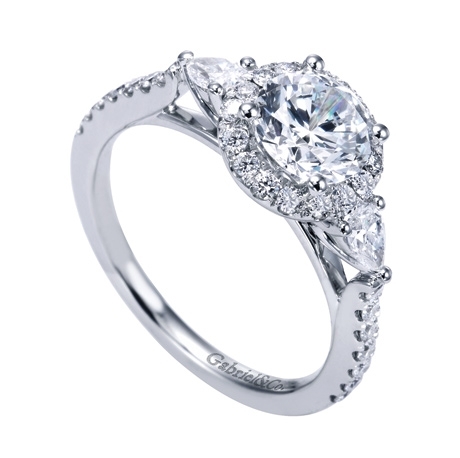 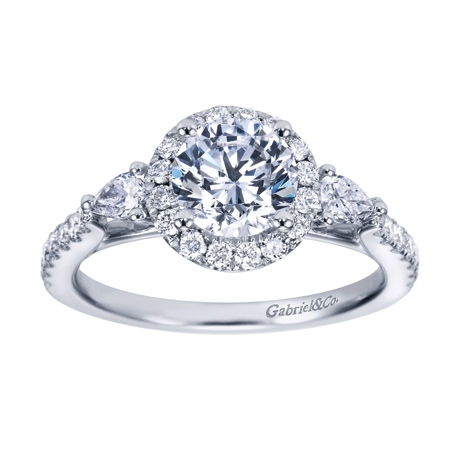 30 round brilliant diamonds encircle a center stone in this contemporary halo engagement ring. 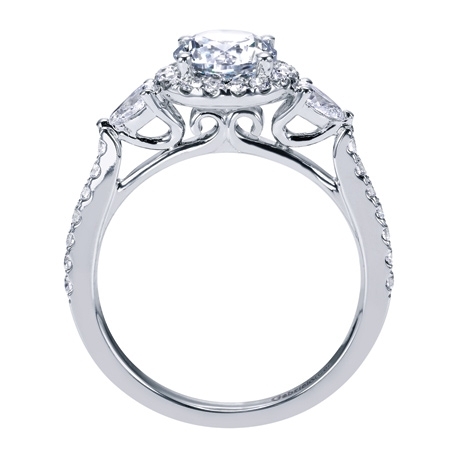 Pear shape stones add the accents to a marvelously decadent choice. Ensnare her with beautifully crafted excellence..
A round center diamond sits snug in the middle of this contemporary halo engagement ring with round brilliant diamonds and two side pear diamonds, designed by Gabriel & Co..